In 1999, I started a project which has fascinated me since and will probably be a life work. While most people think of the Rocky Mountains as being Colorado, I began photographing the Eastern Plains of Colorado for the rugged and simple beauty that I found there. 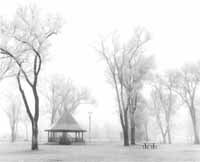 In recent years, I have expanded my work into neighboring states which contain a part of the Great Plains as well. Included here are some of the images which will be in my upcoming book: "In Plains Sight". In January of 2002, just after our country's 9/11/01 experience, I traveled to Paris, France. 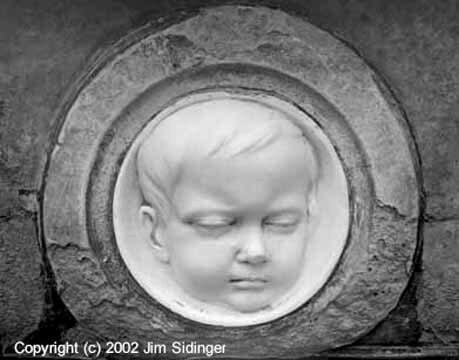 While there I visited the Pere Lachaise Cemetery and I was taken with the faces of the statuary, bas reliefs and the ironwork. The result was a series of photographs which powerfully portray the humanity of this place and which are the basis of my book: "Eternal Companions". A new national park was created in Colorado in 2004 which includes one of our country's true natural wonders, the Great Sand Dunes. 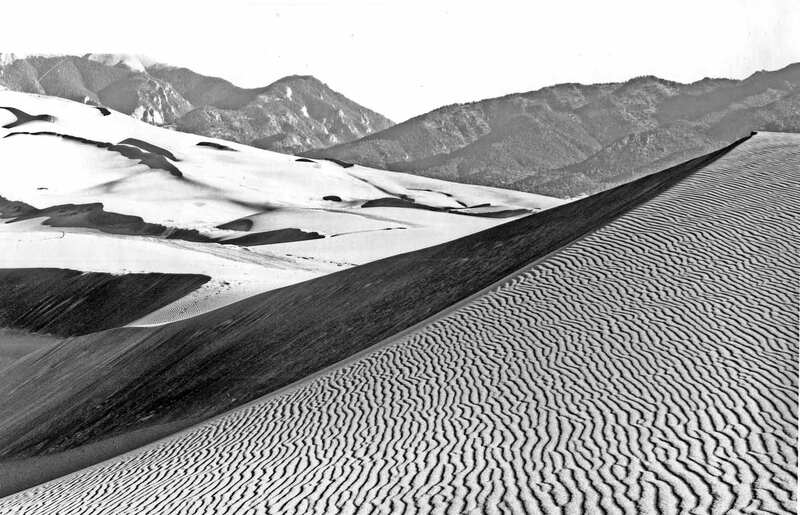 These dunes, far from any ocean, are the highest in North America. I have visited a few times to photograph - I plan to visit more in the future. This pre-Civil War fort was built at the entrance to San Francisco harbor to protect the city against attack from the sea. However, before it was even completed it was made obsolete by new ship borne armament and abandoned. Today, it sits directly under the south end of the Golden Gate bridge in a partially restored state. I have found beauty within its brick walls and have been photographing there from the late 1970's. Colorado is my adopted home and the entire Southwestern United States is a wondrous place full of rich visual images which I have been privileged to photograph over my 33+ years here. In this gallery, you will see images from throughout this region - from the mountain forests to the desert dunes. This gallery consists of a group of photographs which do not fit into a specific project category. Enjoy the variety. my archival prints - as I intend them to be seen.